Orthodontics is the correction of malaligned teeth with the help of braces. With the help of experienced expert orthodontist, lot of challenging malaligned teeth are corrected in our clinic. Having straight teeth is important, teeth that are crooked or out of place affect the way a person chews and talks and how smiles look. 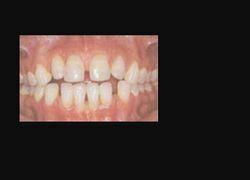 These unnatural spaces and crooked teeth are very difficult to clean and more prone to decay. Most dentists have stopped using amalgam. Invisalign Orthodontic Treatment Would you like to have a straighter smile Many people put off orthodontic treatment because they don’t want to wear conspicuous braces. Invisalign is an alternative to traditional braces that can straighten your teeth discreetly. With Invisalign, you can get the smile you always wanted without braces. Orthodontic treatment commonly known as dental clip treatment is a treatment modality which involves series of processes to move irregularly aligned teeth in desirable position. Creating Great Smiles and keeping up all along treatment - Invisible orthodontics. Put this on for 6 months. No one notices and then you have a great smile. 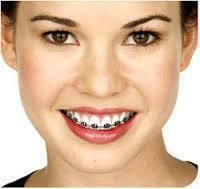 Dental braces are also known as braces and orthodontic braces. There are different types of braces that are used in orthodontics which help to position and straighten the teeth so that the bite of a person is aligned and which also benefits dental or oral health. Orthodontic solutions at the Dental Center offer a variety of treatment options depending on the need of the patient. With straight wire orthodontics treatment is more predictable and long lasting. Functional appliances and habit breaking appliances are also part of treatment offered. Orthodontic treatment is a way of straightening or moving teeth, to improve the appearance and function of the teeth. Invisalign braces alternatives can straighten your teeth using a series of invisible aligner trays custom-made to match your bite. Made from clear and smooth plastic that is easy and comfortable to wear, Invisalign braces alternatives gradually and gently shift your teeth into perfect alignment, just like metal braces, but without the need to be bonded to the tooth surface. Orthodontics is the branch in dentistry that deals with Mis-alignment of teeth and jaws . If you aren’t entirely happy with your smile, orthodontics might be the answer to your problem. Crooked and crowded teeth may cause uneven wear of tooth surfaces or jaw problem. They make it difficult to clean properly and the teeth are prone to decay and gum problems. Orthodontic treatment is a series of processes to move poorly aligned teeth to a desirable position. - Improve the biting position and chewing function. Orthodontics specialises in the diagnosis, prevention and correction of dentofacial irregularities such as crowded teeth, forwardly placed teeth and abnormal position of the teeth and the jaws.